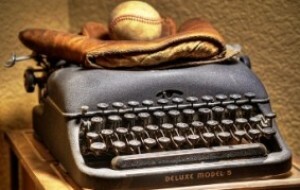 Home » Off Topic » Davey Johnson Hired - Will Wally Backman Get Called? Davey Johnson Hired – Will Wally Backman Get Called? You may have heard that former Mets manager Davey Johnson was hired to take over the Washington Nationals. Almost immediately upon the announcement of Johnson’s hiring, I received several emails and tweets from many “Wally Backers” asking if Davey might reach out to Wally Backman to serve as the Nats bench coach. My gut tells me that Davey probably won’t call Wally now, but could possibly consider adding him to the Washington coaching staff in 2012. Why would Davey consider Wally Backman at all? Mainly because Davey loved Wally as a player, appreciates Backman’s knowledge of the game, and respects his managerial abilities. At nearly 70 years old, Davey is no spring chicken and most certainly is not in this for the long haul. Varied reports indicate his contract runs through either 2012 or 2013, but I would guess that the deal would include something that allows him to return to an advisory role if he decides he’s not up for the daily rigors of managing an MLB team. In which case, Davey might want to hire a “manager-in-waiting” — similar to what Joe Torre did with Don Mattingly in Los Angeles. Some people believe that current Nats third-base coach Bo Porter could be that “manager-in-waiting”, but much depends on Johnson’s evaluation of Porter. It would not be shocking if Davey hired Wally Backman in such a role, or at least as a base coach, considering the history between the two. I would be surprised, however, if Backman were plucked from the Mets’ system before the end of the season; it’s highly unusual and possibly unprecedented. To me, it makes the most sense for Backman to finish out his commitment in Binghamton and for Johnson to get a handle on what kind of players the Nationals have before considering an outside employee such as Wally. If the ownership didn’t want to take the option of the resigned manager, or wanted to make it hard for him, was there a good reason for it? Or, rather, what was the story there? I’m not sure what you’re asking. Are you asking if it would have been possible for the Nats to force Riggleman to continue? From what I understand Riggleman wanted to “have a conversation” about his future, since his contract was up at the end of the year — though not necessarily negotiate an extension. According to Riggleman, his request for that conversation was denied, and he decided that if GM Mike Rizzo couldn’t give him the courtesy of a conversation, then it was clear that Riggleman was not part of the future. He felt disrespected and quit. On the one hand, I can’t blame Riggleman. And, I can’t blame the Nats for refusing to commit to Riggleman beyond this year — from what I’ve seen of him, he doesn’t seem to be all that wonderful a manager (though I’ve seen worse). But I also think that Rizzo should have had that conversation and made it clear to Riggleman that the organization would likely be going in a different direction, or was unsure, or whatever. Riggleman may have still resigned but it would have been the “right” way for Rizzo to act. Of course, we only know two sides of the story — Riggleman’s and Rizzo’s — and usually there is a third that is the truth. Thanks. Basically, since Riggleman thinks he was treated unfairly, I wanted to know why he was treated as he was.